Call Us for Comprehensive Eye Care! Laser Eye Surgery By Our Experienced Ophthalmologists. Contact Us! Is your vision getting blurry? Do you need to have a thorough eye check-up? Look no further than Advanced Eye Care of The Upstate, P.A. 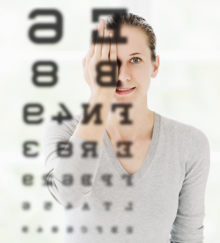 We provide comprehensive eye care for the people of Greenville and nearby locations. Since 2007, we have been providing exceptional services for laser vision correction, laser eye surgery, and astigmatism laser surgery. Our doctors have years of experience under their belt and pay attention to detail while treating a patient. Count on us for a reliable diagnosis and trustworthy treatment to take care of your precious eyes. Our clinic offers personalized care in a patient-friendly environment. Our clinic is technologically advanced to ensure that each patient gets the best treatment possible. Advanced Eye Care of The Upstate, P.A. believes that vision is one of the greatest senses that man possesses and thus, we make sure that you get the finest care for your eyes. We strive to make our patients feel comfortable at our facility and our experienced doctors provide early diagnosis and treatment of eye diseases to help our patients return quickly to normal life. Call us at (864) 501-9446 to learn more about our high-quality care, which comes with kindness and compassion towards our patients. Advanced Eye Care Treatment By Our Doctors. Call Now! Copyright © 2018 advanced-eye-care-sc.net All rights reserved.